Irish Travellers are a small indigenous ethnic minority, with approximately 40,000 living on the island of Ireland and a further 60,000 between the United Kingdom and America, who according to historical material have been a part of Irish society for centuries. We have a long shared history, language, customs and traditions making us a group, which is recognised by ourselves and the majority population as distinct. This distinctive identity and culture is based on nomadic tradition, which sets us apart from the majority population. But both nationally and internationally there is a body of research and evidence that unambiguously and conclusively tells us that Irish Travellers continue to be subjected to discrimination and exclusion. This discrimination experienced occurs both at an individual and institutional level. At the institutional level, Travellers experience discrimination when services and policies are designed without regard to their potential negative impact. This can happen both intentionally or unintentionally. In our case what this means is services are designed by the majority population for the majority population. Anti-Traveller racism is both pervasive and deep-rooted to the extent that it is normalised in public discourse and nowhere is this more evident than in the media. The following newspaper account illustrates how the negative portrayal of Irish Travellers contributes to the ideological racist discourse. Under a section on crime in the Sunday Independent on January 28, 1996, was the following headline: Time to get tough on tinker terror ‘culture’. According to the article by Mary Ellen Synon, Gardaí – the police force in Ireland – believe that Travellers are responsible for over 90 per cent of attacks on the rural elderly. The writer states that Traveller culture “is a life of appetite ungoverned by intellect…It is a life worse than the life of beasts, for beasts at least are guided by wholesome instinct. Traveller life is without the ennobling intellect of man or the steadying instinct of animals. This tinker ‘culture’ is without achievement, discipline, reason or intellectual ambition. It is a morass. And one of the surprising things about it is that not every individual bred in this swamp turns out bad. Some individuals among the tinkers find the will not to become evil”. Attitudes of settled people to Travellers include that 60.1 per cent would not welcome a Traveller as a member of the family; 72.3 per cent support Travellers ‘to live their own way of life decently’ – down 20.7 per cent since 1989; some 63.7 per cent reject Travellers on the basis of their ‘way of life’; and 18.2 per cent would deny Irish citizenship to Travellers. The figures are from Emancipation of the Travelling People by Micheál Mac Gréil. 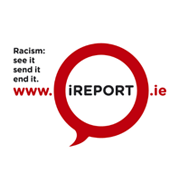 If we are to achieve positive change for Travellers in Irish society there must be a unequivocal recognition of them as an ethnic minority who have a right to their identity and language, and that the state should positively support, affirm and resource Traveller ethnicity. This would have both a symbolic and practical benefit for Travellers and would also contribute towards mutual coexistence between Travellers and the majority population. 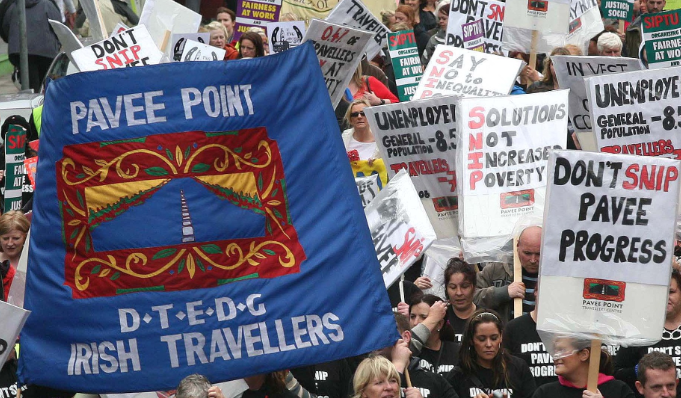 It is also important that the Irish government and its institutions should continue to support Traveller participation in the development and implementation of policies that promote Traveller inclusion.